Singer and songwriter Lloyd Cole is a known for his intelligent indie rock. Cult legend and dearly loved indie icon, his shows are not to be missed. The British born talent is known for is known for his work with his band The Commotions plus his stunning solo performances. Newly announced for 2019, he will be performing at Union Chapel in London on Thursday 24th of October. Excitement is already high and still rising as is the demand, so make sure you do not hang about and book your tickets for Lloyd Cole before they are all snatched up. Fortunately, placing your order with Gigantic is made easy as your purchase can be made 24/7 at home or on the go using your smartphone, tablet or computer. 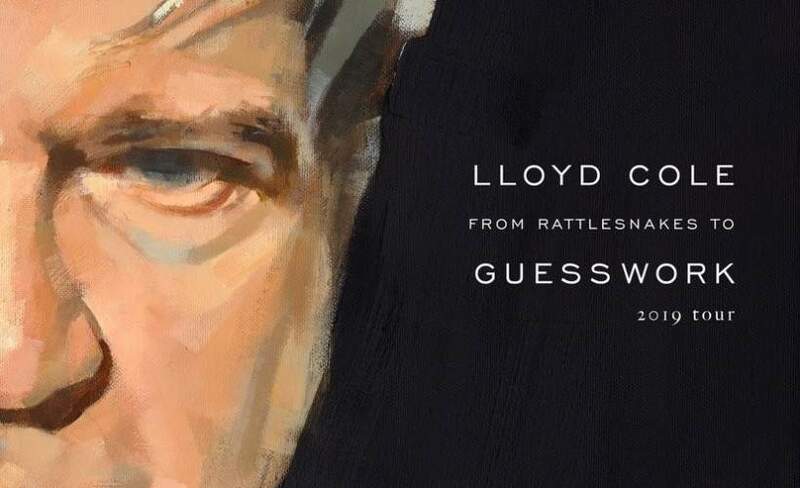 All of our Lloyd Cole gig tickets will be released by 10:00 on Friday 8th of March. Set your personal reminder with Gigantic right now. It will alert you via text message of email when they become available. Lloyd Cole first found success as the lead singer, main songwriter and solo lyricist in the outfit Lloyd Cole and the Commotions. Having met whilst studying Philosophy and English at the University of Glasgow, the bands songs featured intelligent lyrics littered with cultural references that may bewilder some of their listening audience almost casually thrown away. They produced three highly regarded albums; Rattlesnakes (1984), Easy Pieces (1985) and Mainstream (1987) before splitting in 1989. He moved to New York and began to pursue his solo career. In a burst of creativity his self-titled debut Lloyd Cole and second album Don’t Get Weird On Me Babe were written, recorded and released in just two short years. His prolific talent has seen Cole release sixteen solo studio albums, play amazing live shows and find the time to perform in a one off reformation tour of the Commotions in 2004 to celebrate the 20th Anniversary of Rattlesnakes. Lloyd Cole concert tickets can be bought through Gigantic right now! But don’t hang around because they will go. So, book early to avoid disappointment! Always make Gigantic your first stop for the very best selection of gig tickets and to enjoy award-winning customer service.